I was wondering if I could get my blog listed on NEPA blogs. I'm originally from Tamaqua, PA and a graduate of Panther Valley High School. I moved away after graduation to serve in the Air Force and now I'm back in PA living in State College. I’m a down to earth girl born on the Jersey Shore and raised in the Pennsylvania Coal Region. I enlisted in the military when I was 17. I planned to serve 4 years and separate but those plans fell through when I had $208,261 in debt. I owed $55,437 on credit cards, $75,000 on a house, and $77,825 on vehicles. I had to reenlist to keep a roof over my head. I promised myself I would never be a slave to a lender again (Proverbs 22:7). My husband and I worked diligently to pay off every cent owed. We are 100% debt free with a net worth greater than our annual income. I needed an outlet to discuss the lessons I learned on money, voila, I created my blog. Money is a taboo subject that most people don’t talk about. My mission for my blog is to get people talking about money. Let’s discuss what works and what doesn’t. Let’s create financial literacy and independence. I'm happy to report that Lacey will be attending NEPA BlogCon in September, if you would like the opportunity to network with her in person. You can purchase your tickets to NEPA BlogCon right here all proceeds from ticket sales go to benefit 2 local charities (The Arc of Luzerne County and the NEPA Veterans Multicare Alliance). Do you have a blog that you'd like featured and listed on our blog roll? Reach out to us at nepablogs@gmail.com. PA Live! Blog of the Week pre-empted by Olympics! PA Live! 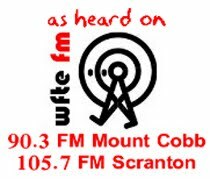 will not be airing on local NBC affiliate WBRE for the next two Tuesdays due to coverage of the Olympics. So we'll be postponing the Blog of the Week until we can re-schedule and re-coordinate. Look for the Blog of the Week segment to return to PA Live! starting August 15 (EDIT by Michelle) August 14! 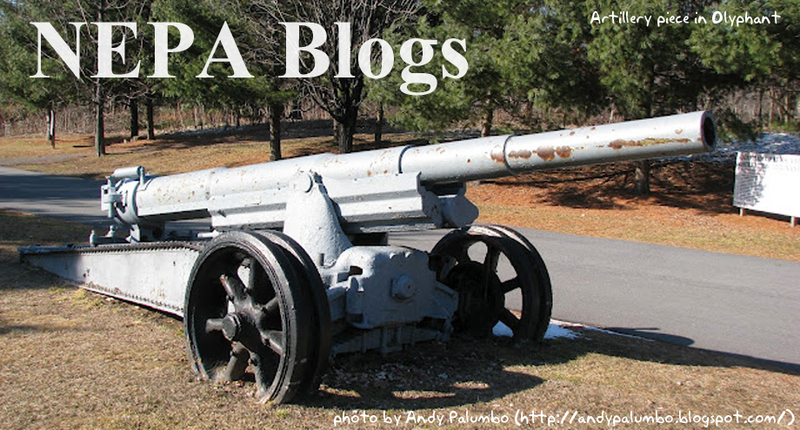 Another blog by NEPA blogger, photographer, and guerrilla historian Cheri Sundra! Like artist Jenn Danza, Cheri takes the "found poetry" of fortune cookies and transforms it into art - in this case, by pairing each fortune with a photograph or other image. This is a new blog, and a work in progress, so be sure to check it frequently for updates and developments! Jim Thorpe is getting excellent representation on the NEPA Blogs list! Here's another blog from Jim Thorpe, sent to us in the email! An innkeeper with a background in journalism, I write our blog the Times House News at jimthorpeblog.com Our B&B is in the old Times News building, hence the name. I write about what's happening in town on any given week and about the things in Jim Thorpe that made my husband and I fall in love with it. If you've never been to Jim Thorpe, you're missing out on a beautiful gem located right here in Northeastern Pennsylvania. Check out Times House News - and all the other Jim Thorpe blogs we feature - and see what you're missing! There are some things that people who have grown up in Northeastern Pennsylvania take for granted that, to people from outside the area, are just inexplicable. The pirates atop Cooper's Seafood in Scranton are one of those things. Are they defending the place, or attacking it? "If I could explain I would" Matt Batchelor wrote on his blog when he first posted this image a week and a half ago. Matt is a relative newcomer to the region, and documents his adventures in becoming part of the NEPA community in his blog "Moving to NEPA." So have you noticed something you took for granted that someone else might consider a landmark? 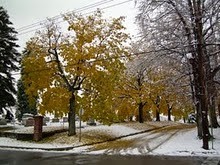 Send a photo to nepablogs@gmail.com and we'll see about making it our header image of the week! The Vintage Theater has been a good friend to the NEPA blogging community and has served as the venue for many blogging-related events in the past year, including the Bloggers' Roundtable, the Bluekey Tweetup, Pecha Kucha Night, and the Scranton StorySlam. Back in May they announced the shocking news that they would be vacating the 119 Penn Avenue location at the end of the month. But since that time proprietors Conor O'Brien and Theresa O'Connor have been searching for a new home for the Vintage Theater. And now it looks like they've found it. But they'll need the help of people throughout Northeastern Pennsylvania to make that happen. So this is it: your chance to help the Vintage Theater, support the future of the creative arts community in Northeastern Pennsylvania, and get fabulous perks in return! But hurry! The Vintage Theater's IndieGoGo campaign only runs through August 18! Glenn Burgess is a technology covered music lover from Wilkes-Barre. If it makes a noise he wants to hear it, see it, and feel it. He also is a podcaster, slightly above casual video gamer and (most importantly) a blogger! I had the opportunity to meet Glenn at the NEPA BlogCon launch party and learned that his love of technology inspired him to start up a new blog in June. The blog is called "nine kilobytes". From the about page: I’m sure many of you are wondering, “why nine kilobytes?” Well the answer is simple, though somewhat long and drawn out. I began looking around on the internet, the self-perpetuating content machine, to see what I could reference and feel genuine with. The kilobyte. Long since forgotten and slightly larger than its subset brethren which are the building blocks everything you process in a given day are built on, it would be perfect for me. So in researching the kilobyte, I came across a Wikipedia page explaining exactly what it is and this example. 10kb for an encyclopedia page? Well I’ll be a bit under that in my posts. Nine kilobytes is the description of this blog as well as the evolution of the identity of its creator. Nine kilobytes is perfect. You can also check out Glenn's podcasting blog "Bro'ing Up" right here. He's also on twitter under the username of @ninekilobytes. Have you recently started a blog? We'd love to hear about it! Drop us a line with your name, your blog's name and address, and a short description of what it's about to nepablogs@gmail.com. Ashley Teatum is another journalist in our area that blogs. Ashley is a sports writer at the Times Tribune in Scranton. I learned of her two Tumblr blogs through her Twitter account @tee_tuhm. "writer. lit nerd. sports geek. journalist. feminist." "Critically Uncovering the Coverage of Women in Sports"
"What and how much had I lost by trying to do only what was expected of me instead of what I myself had wished to do?” -Ralph Ellison, from Invisible Man"
Although she is a Staten Island, N.Y., native, Ashley Teatum caught the Scranton bug and stayed after graduating from the University of Scranton in 2009. As a sports reporter for The Times-Tribune, Ashley, 24, covers high school soccer and wrestling. She serves as the vice president of the Alpha Sigma Nu Scranton Alumni Club and also has sung with the University's performance music concert choir as an alum. Ashley lives in West Scranton and is tackling David Foster Wallace's epic novel “Infinite Jest” this summer. She owes her dancing genes to Ms. Mary Saccheri-Spera, her dance teacher in Staten Island who gave Ashley her groove for 13 years. Best of Luck, Ashley and welcome to the blog roll! Allan Kaspar, of the DnA Project Band blog is starting a new project that involves a blog. I interviewed him about the new endeavor via text message. Me: "What's this new thing you are doing?" Al: "I'm starting a free ezine for short fiction writers, artists and photographers who are not yet mainstream. It will distribute through all smart phone bookshelves/libraries. Going to be an awesome creative venture." Al: "The ezine is located at http://unchartedfrontier.com"
Al: "It'll be in ebook format going through smashwords so it'll convert into .mobi, .epub, etc formats." Me: "When does it launch?" Al: "As soon as I finish putting up the preview story." Al: "Well the website anyway, issue 1, I'm hoping for beginning of August." Uncharted Frontier Magazine focuses on the best fiction and art from the creatively talented albeit undiscovered. We seek to provide a vehicle and voice to those we feel should be heard! Do you have the passion to create a good short story? Do you have a budding talent for photography and want to show the world? See our Submission Guidelines for details! Undiscovered Frontier aims to be the best FREE fiction e-zine made specifically for mobile devices! We aim to have the ezine published on the Amazon Bookshelf, iTunes, and all major digital distribution outlets aimed at the smartphone and tablet audience! Thank you for reading, and welcome to the Frontier! So there you have it, head over to http://unchartedfrontier.com and check out the preview and look for the first free issue at the beginning of August. 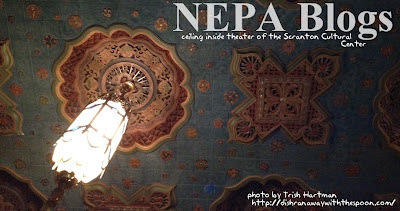 This week's header is an image of the ceiling of the Scranton Cultural Center taken by Trish Hartman during a special "behind the scenes" tour. Ornate treasures hide in plain sight throughout the place - all you have to do is look for them! Do you have a photo that captures some aspect of Northeastern Pennsylvania that you'd like to share? Send it to us at nepablogs@gmail.com, and maybe we'll use it as the NEPA Blogs header for a week. Our PA Live! Blog of the Week this week is CacheCrazy.com (http://www.cachecrazy.com/). Geocaching is an enormously popular but relatively new sport. To put it simply, it's like a huge game of hide-and-seek using GPS (Global Positioning System) locators. "Caches" are hidden objects, usually in weatherproof containers, whose locations are given with GPS coordinates of latitude and longitude. Sounds simple, right? Not so fast! To make things more fun, the coordinates are sometimes encrypted in games, riddles, or math problems. And sometimes the coordinates only get you in the ballpark, and additional clues need to be followed to locate the cache. So what's the point? It's not so much the finding, but the seeking. Geocaching is a way of getting others to explore exciting locations, challenge their skills at hiking, climbing, and problem-solving, and view vistas that they might not otherwise have seen. 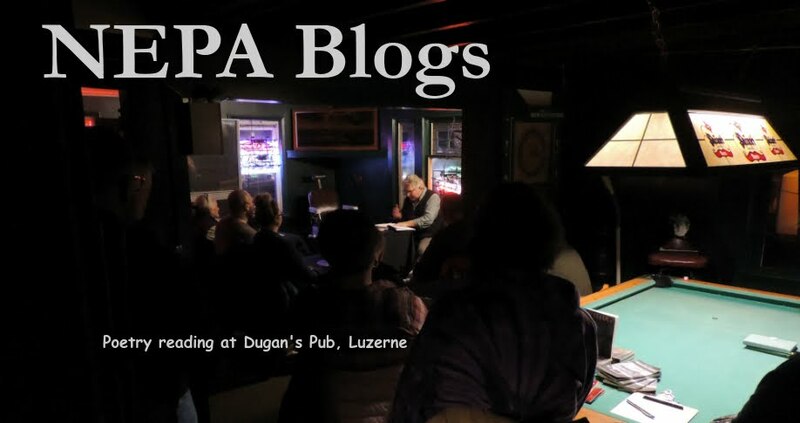 For years I suspected that there must have been a blog in Northeastern Pennsylvania dedicated to this sport, but I didn't actually discover it until a few months ago - and then learned it had been active since 2010! CacheCrazy.com is a site dedicated to geocaching. It was created by a blogger from NEPA who goes by the name of "Bloodhounded," but now has regular contributions from a group of bloggers who share his love of geocaching. It's full of stories of geocaching adventures, hints and tips, and upcoming geocaching events. If you're not involved in geocaching, odds are you know someone who is. If you're at all interested in this fun and exciting sport, give CacheCrazy.com a visit and learn more about it! You'll be glad you did! It looks like we have another new journalist in Northeast Pennslyvania. Lara Greenberg just started last week at WNEP-TV and lucky for us, she has a blog! Welcome to my bookworm blog! My name is Lara Greenberg, and I’m a local news reporter for YNN, a 24-hour local news cable station in upstate New York. I work in the Elmira/Corning region, covering the top stories of the day from this area. And though I’m on TV every night, one of the integral parts of my job is writing. My life is a constant cycle of reporting the things I see and hear. Aside from reading newspapers and news sites all day, I’m a huge bookworm. Reading for leisure allows me to learn and refocus my energy on things I don’t have the opportunity to experience. And as important as it is to me on both a personal and professional level to know what’s going on in the world, that includes popular culture. That’s why I like to read bestsellers, popular books, fiction and nonfiction. I hope you can read along with me and find out more about the books you’re hoping to dig into. I also hope you’ll enjoy my interest in a wide range of books and allow yourself to read a variety of novels as well. It’s time to turn the page! According to Twitter, Lara will be covering news throughout the Wyoming Valley. You can follow her on Twitter under the username of @LaraReports. This is a place for me to show you what I write. It's actually hard to describe this blog beyond that. Is it free-form poetry? Fiction? Creative non-fiction? All of the above? It's something you'll have to read and then decide for yourself! Military surplus items decorate many of the municipalities in Northeastern Pennsylvania, some with well-documented histories, some seemingly more random. Many places feature their own personal anchor, cannon, tank, or other item. Andy Palumbo snapped this photo of an artillery piece in Olyphant several months ago, and tells its story here. 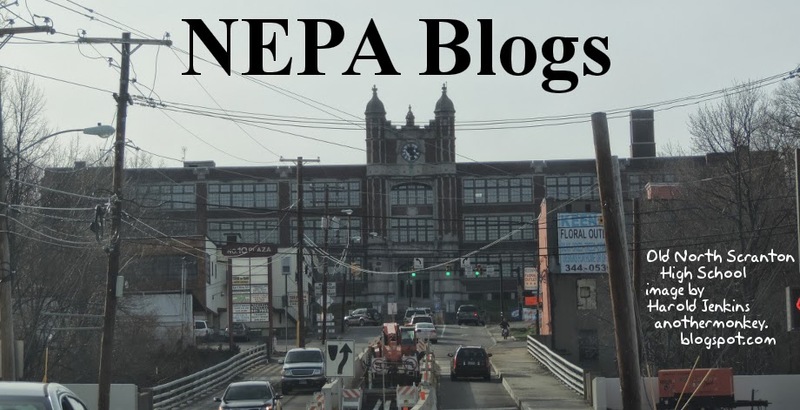 If you have a photo that you'd like to see featured as the NEPA Blogs header for a week, please send it to us at nepablogs@gmail.com. "Mommy blogs" are among the most popular blogs on the Internet, in which mothers share what it's like to be a mom, and their own personal day-to-day adventures in motherhood. 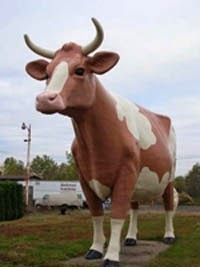 Megan Galko's NEPA Mom isn't exactly like this. Instead, it's an amazing resource for mothers, families, and everyone else living in Northeastern Pennsylvania. Megan lets you know about events, deals, discounts, and giveaways. She shares recipes, product reviews, product recalls, printable coupons, and useful information of all sorts. If you want to know what the R/C Theaters Summer Movie, Cinemark Summer Movie Clubhouse, or Great Escape Dickson City's movie schedules are, she's got that! How about summer youth programs at Penn State Worthington, Lackawanna College, the Jewish Community Center, or other places? She's got it! Want to go out picking strawberries, take the kids to a reading program, or just want to know about cool stuff going on around Northeastern Pennsylvania? She totally has you covered. I've gone to some great events that I might never have found out about if it weren't for announcements on NEPA Mom! Life can sometimes be overwhelming. A site like Megan Galko's NEPA Mom can give you lots of help, hints and tips, and even information about fun little getaways and mini-vacations around Northeastern Pennsylvania. Give it a visit and you might be surprised at what you find! The city's finances are in question. Chapter 9 is the answer. A petition has been started today asking Scranton City Council and the Mayor to declare Chapter 9 bankruptcy. There are only 2 signatures right now, but I'm sure more will appear as time goes on. 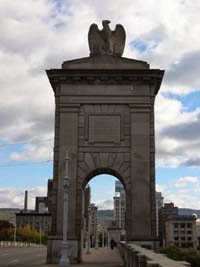 If you are interested in signing it, follow this link: http://www.change.org/petitions/city-of-scranton-file-for-chapter-9-bankruptcy-protection. "It's time to take steps to actually "Restore the Pride" and not simply pay lip service to a great idea." Thank you to tipster @GlobalScranton for tweeting about this blog! 08/06/12 UPDATE: Harold recently stopped at 62 South Franklin Street to pre-record a few segments of the Blog of the Week when we learned by accident that the Scranton is Broke blog was closed. You can read the post here. This post refers us to Gary's other blog located at consolidatediza.wordpress.com. Look for an upcoming post about this blog soon! Amy is an amazing storyteller, and I am very excited to read this new blog. I found out about this blog when the author attended NEPA BlogCon's launch party at the end of June. As it turns out, I used to work with Alicia in my short time at Solid Cactus many moons ago and we were both in Bernie's Memorial July 4th Run/Walk. Alicia is an avid running chick and writes about it on her blog called Runningful. Hey there, I'm Alicia! I've been running for about three years now and have finished several 5ks and my very first half marathon. Running has been a wonderful experience for me, and hence "Runningful" was born as the place where running+wonderful intersect. Want to share a running story, write a guest post, pitch a product review/giveaway, or just have a comment? Email me at alicia@runningful.com! Runningful covers topics such as proper nutrition for runners, running wisdom, running inspirations and also has product reviews that may be helpful to runners. You can also follow Alicia's adventures on Twitter under the userid of @runningful. I wouldn't recommend running in this heat, give yourself a break today and soak up the AC or take a dip in the pool. Stay cool, NEPA. Happy Friday everyone! I have located 2 new periodicals to add to our blog roll. You can also view each monthly edition on their website under the "Monthly Editions" link. I haven't been able to find any social media presence for this publication. I could not find a detailed about section on their blog explaining their mission, but the Wilkes-Barre Independent Gazette is essentially a by the people, for the people publication. "We welcome your letters contribution of local news and interests. Space permitting, we will consider publication of all points of view. We reserve the right to respond." You may already be familiar with some of the staff members: Lou Jasikoff (Publisher), Holly Anderson (Executive Editor), Frank Sorick (Contributing Editor), Betsy Summers (Contributing Editor), Carl Romanelli (Contributing Editor), and Anthony Antonello (Investigative Journalist). The only social media presence I could find for the Gazette was a Facebook group which is locked to the general population. You need to request to join. 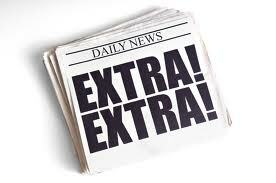 UPDATE: Bill Boyle of the Wilkes-Barre TL did a story about the new paper on July 6th. You can read the story online right here. Do you know of any local news blogs or political blogs that we aren't linking to already? Shoot an email to nepablogs@gmail.com to give us a heads up! NEPA is renowned for it's abundant and diverse selection of pizza restaurants. I'm a lifelong NEPA resident, longtime pizza maker, and avid lover of all types of pizza. My goal is to bring you a minimum of 1 pizza review per week and build a library of reviews of pizza places throughout NEPA. Two cool things I found about this blog was that the author decided to create a Google Map to plot out all of the pizza places that were reviewed. You can check that out here. Also, the blog's author engages his readers by creating interactive polls. The one up now asks "What is your favorite kind of pizza?" Choices: Thin Crust (NY Style), Thick Crust (Chicago Style), Old Forge Style, Sicilian. Of course, I voted for my favorite - Sicilian. This blog is fairly young, it's only been around since June. It does have several reviews of popular pizza places in the area so far (Revellos, The Gourmet Slice and Colarusso's to name a few). We look forward to reading (....and drooling over....) more reviews soon! Fireworks have always been something of an economic indicator: if you can afford to spend money on things you're only going to blow up later, you might actually not be that badly off. This goes for communities as well as individuals. For the past few years Nanticoke has put on modest but entertaining fireworks displays. Our header image this week shows a few of the fireworks from the 2009 show as seen from several blocks away. I'm not sure if Nanticoke will be putting on another show this year. 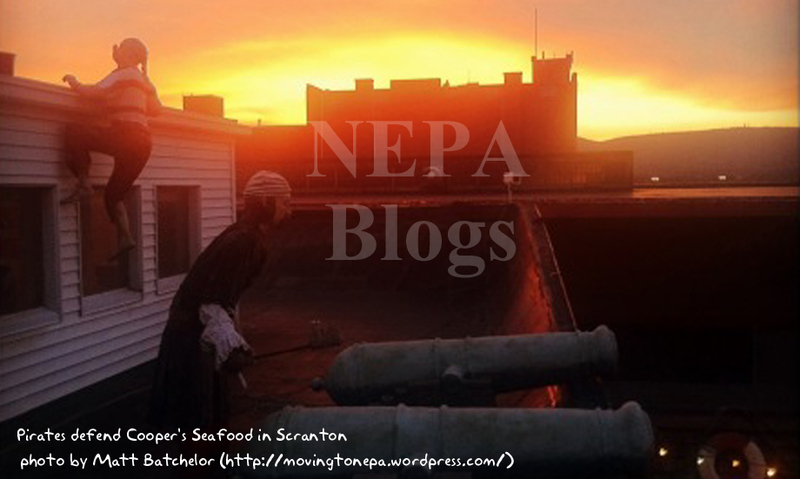 Do you have an image that you think captures some aspect of NEPA's traditions or history? Put it in an email and send it to nepablogs@gmail.com, and we'll see about turning it into one of our weekly headers! The Fourth of July is a time for patriotic celebrations, fireworks, and picnics. And ice cream! What could be better on a hot summer night than a nice cone, or bowl, or carton of ice cream? Turkey Hill's Ice Cream Journal is all about ice cream! Ice cream history, ice cream science, favorite flavors, things you can do with ice cream... This blog has been around a while - its first post is from November 1, 2006 - and they haven't run out of things to talk about! Blogs come in all different types. Some are individual do-it-yourself projects, created by people who have something to say and want to get their message out to the worldwide audience of the Internet. Others are more professional endeavors, less labors of love and more tools of doing business. Some represent groups and organizations, or even corporations or businesses. The Ice Cream Journal falls into this last category. Ultimately it's a corporate blog, putting a face to and providing community outreach for the Turkey Hill Dairy corporation. And it does that job very well, by focusing on an engaging and popular item like ice cream. One of the secrets of having a popular blog is having content that is wildly popular with people. Politics and sports are two of the big topics that bring in readers. But ice cream is definitely up there. Few blogs cover the topic of ice cream better than Turkey Hill's Ice Cream Journal!